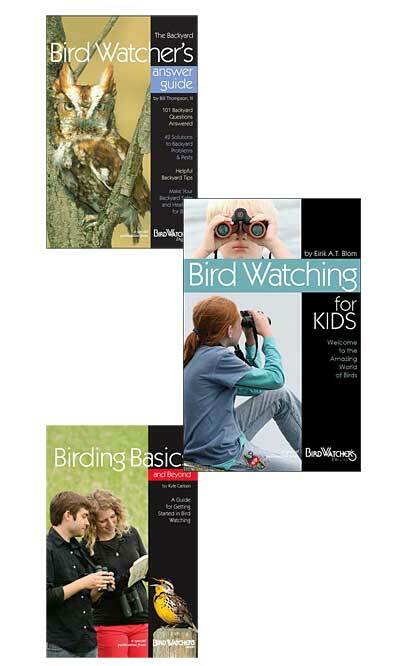 Support your child’s interest in birding with this BestNest Beginning Birding Booklet Bundle. This set of 3 booklets offers a wealth of information on the bird species in your area, which frequently are found both in the wild and in your backyard. The answer guide helps your child determine what birds visit your sanctuary, while the bird watching book offers tips for successfully finding and monitoring birds in their natural settings. The birding basics work provides suggestions for great bird watching tools, helping your child become versed in this hobby. Color photographs throughout each piece help capture interest, while the concise writing is easy to read. The paperbacks are great for bringing into the field for on the spot research and identification, or packaging together for a fantastic start to an ornithological library. Foster your child’s knowledge of birds with this Beginning Birding Booklet Bundle. BestNest Nature Press, 9" x 9"